A beautiful giclée art print of 'Foxes' by Franz Marc, 1913. Along with his peer Kandinsky, German Expressionist Franz Marc placed great importance on the use of color in art. 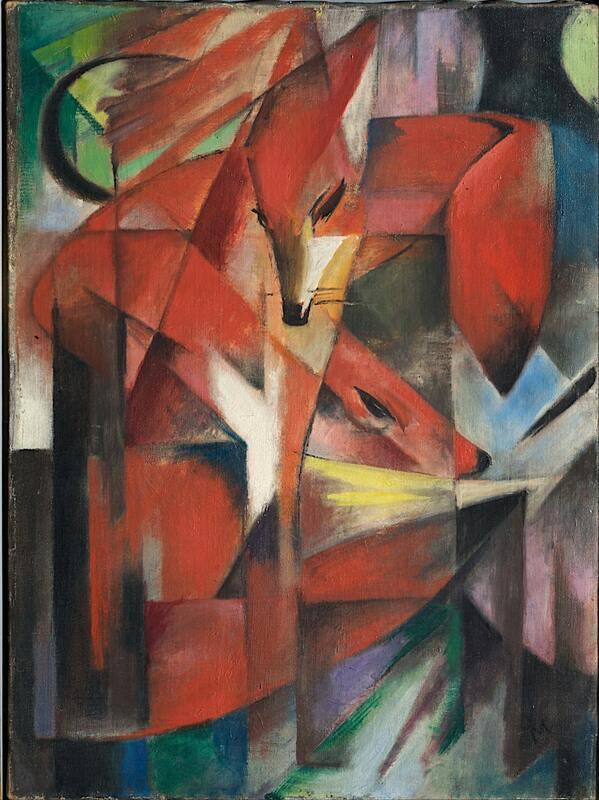 Each color had a meaning to Marc; in the case of 'Foxes', the warm rich red tones represent life and solidity. Interestingly, during the first world war, Marc was assigned a role in military camouflage. He painted canvas covers for hiding artillery from aerial observation, his pointillist style was very effective against aircraft flying at 2000 meters or higher.